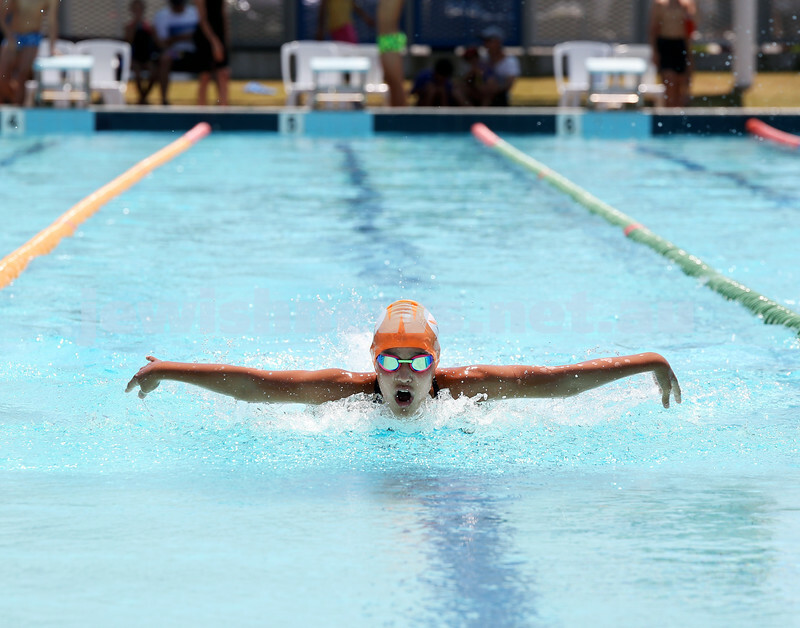 Maccabi Jewish Swimming Championships. L-R Jasmine Melinkoff, Eliora Glass .Pic Noel Kessel. 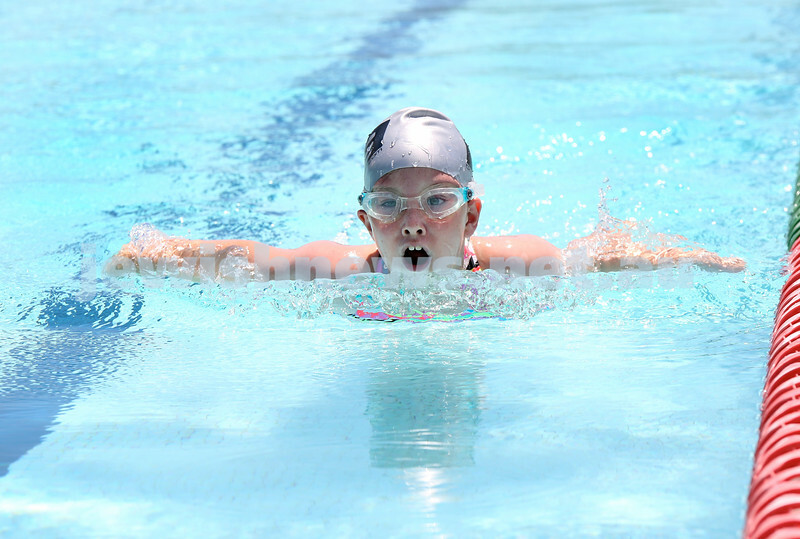 Maccabi Jewish Swimming Championships. L-R: Jenna Marks, Dani Hayim, Liat Hayim, Ruthie Durbach. Pic Noel Kessel. 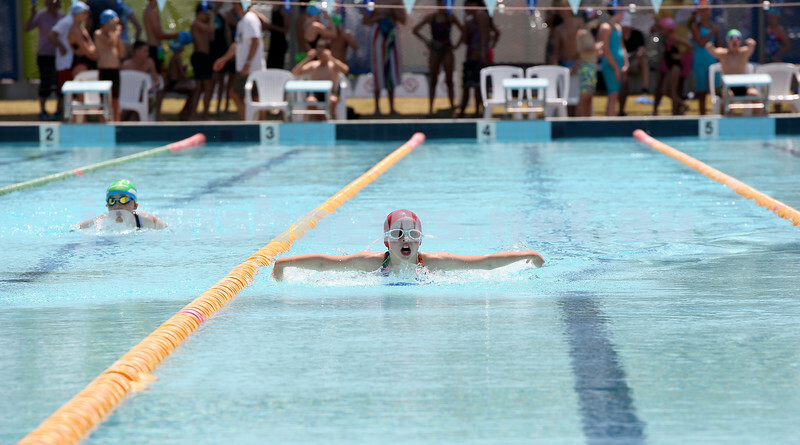 Maccabi Jewish Swimming Championships. L-R: Adam Kloner, Zane Simmons, Noah Abeshouse. Pic Noel Kessel. 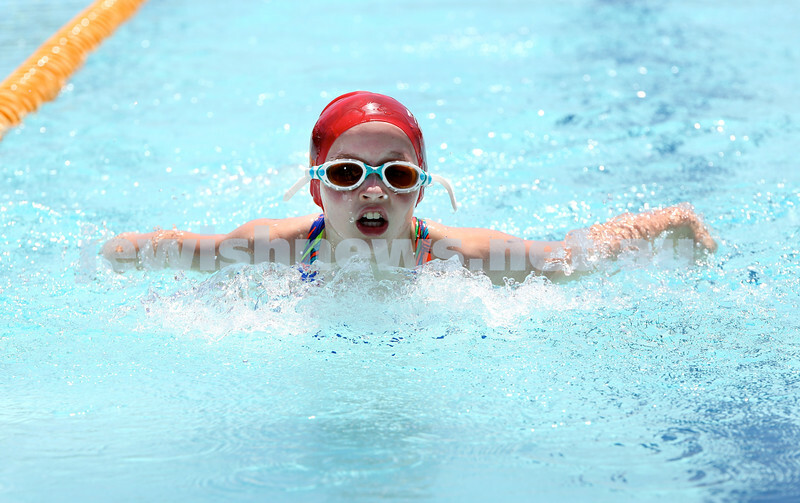 Maccabi Jewish Swimming Championships. L-R: Allegra Schubert, Hannah Pajor, Chloe Kovkin. Pic Noel Kessel. 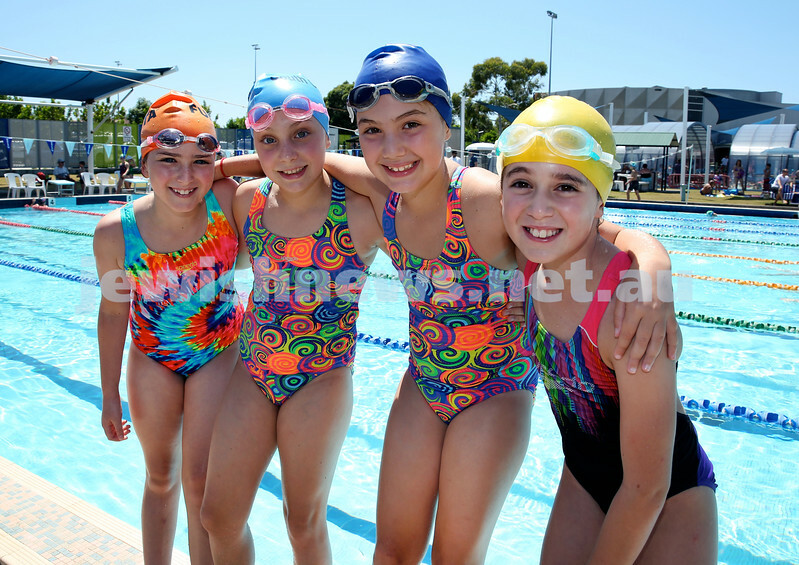 Maccabi Jewish Swimming Championships. Winners of the Girls 100m Freestyle and winner of the AJN Cup. 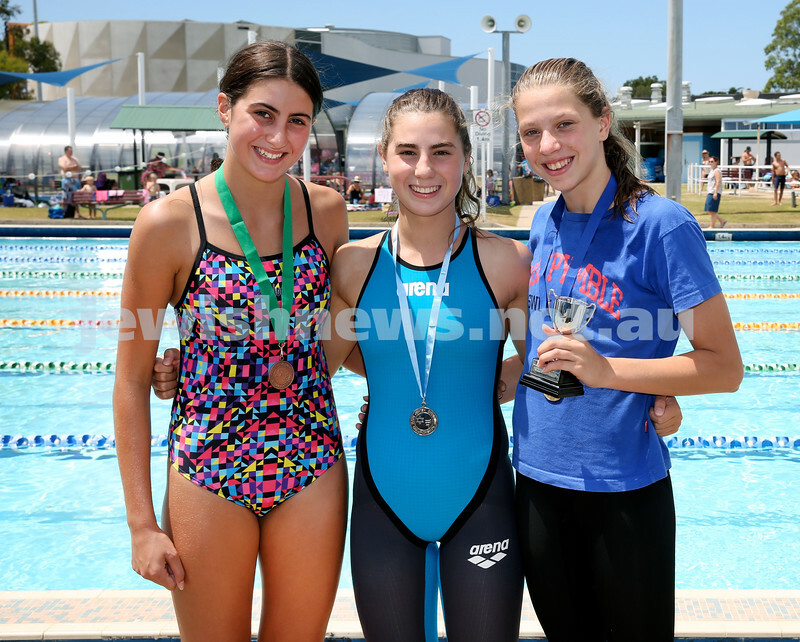 (from left) Laila Reuven 3rd, Brooke Roseman 2nd, Maya Murphy 1st. Pic Noel Kessel. 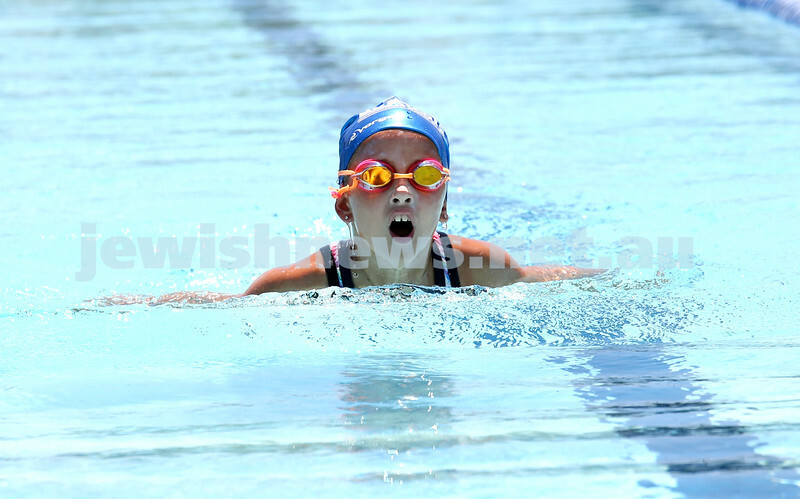 Maccabi Jewish Swimming Championships. 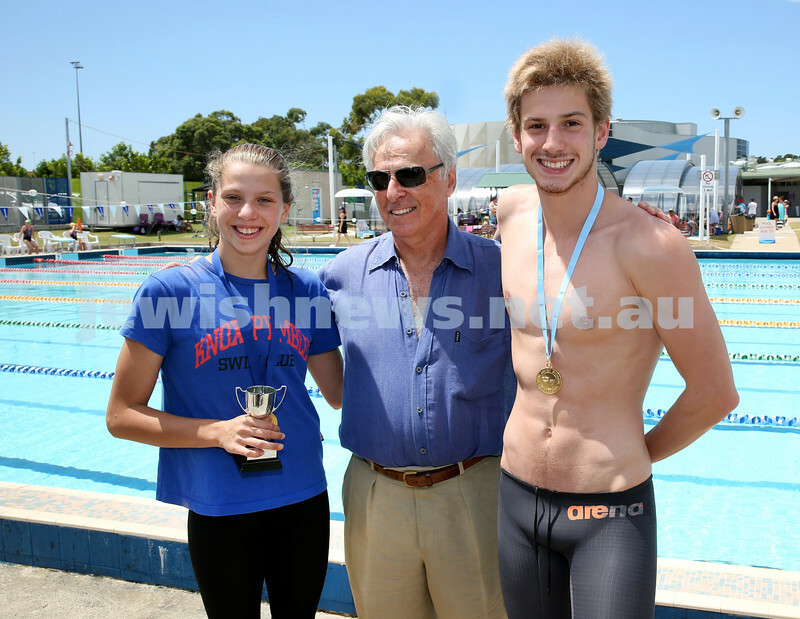 Winners of The AJN Cup in 100m Freestyle. (from left) Joshua Zwi 2nd, Joshua Blumberg 1st, Kyron Israelsohn 3rd. Pic Noel Kessel. 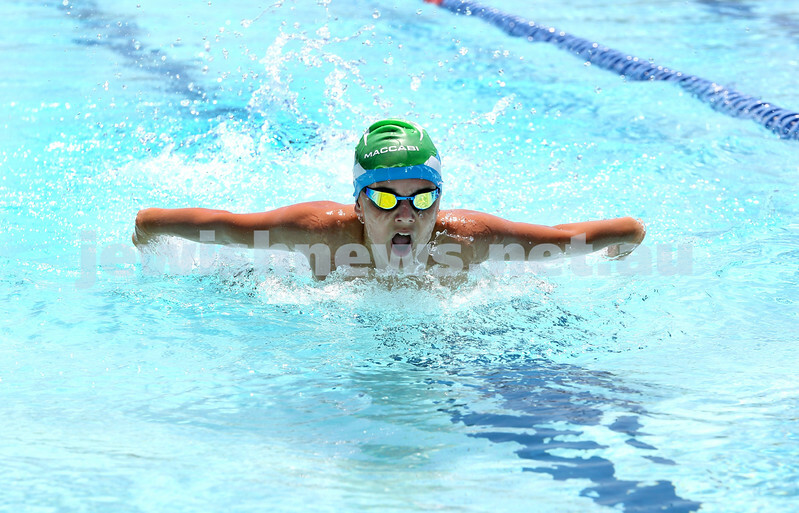 Maccabi Jewish Swimming Championships. 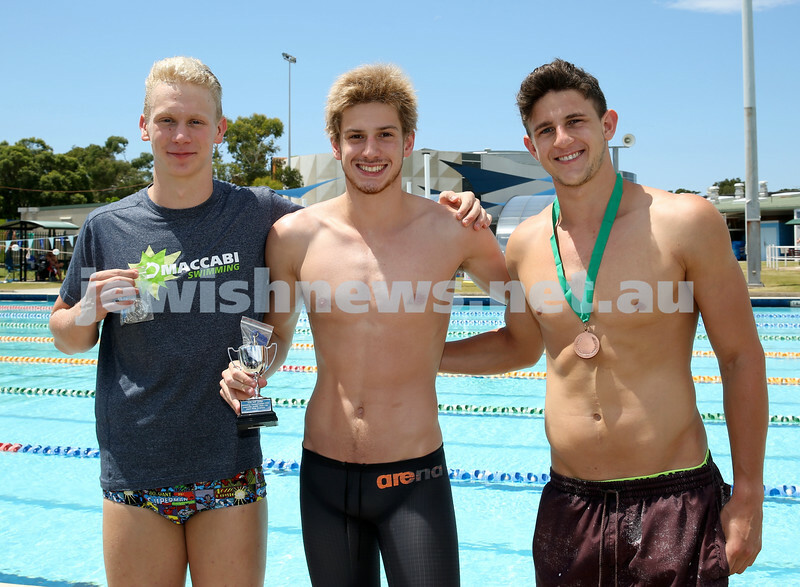 Robert Magid (M) with the winners of The AJN Cup for 100m Freestyle. Maya Murphy (L) & Joshua Blumberg (R). Pic Noel Kessel. 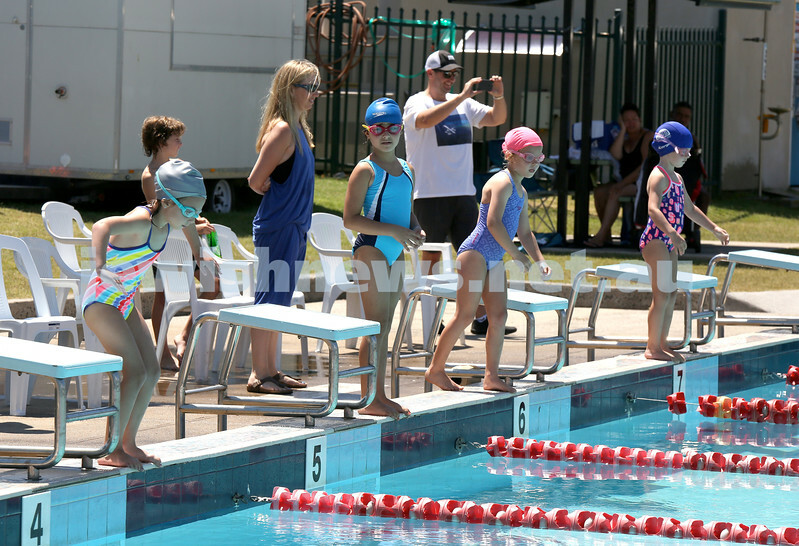 Maccabi Jewish Swimming Championships. 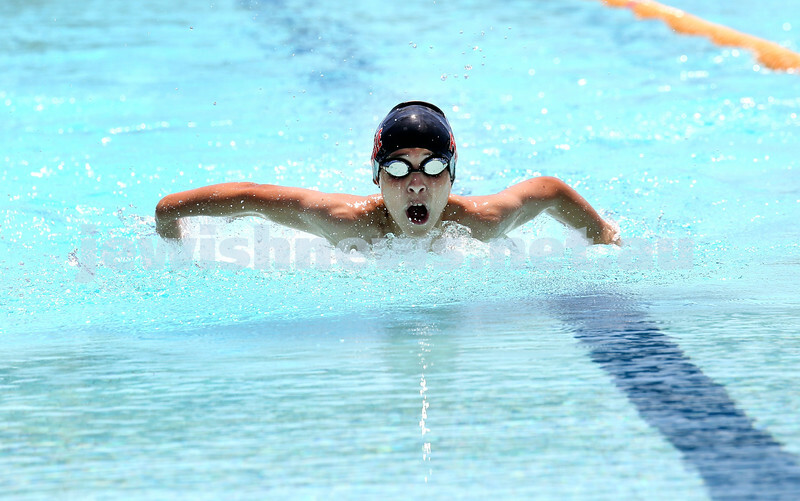 Boys 50m Butterfly. Pic Noel Kessel. 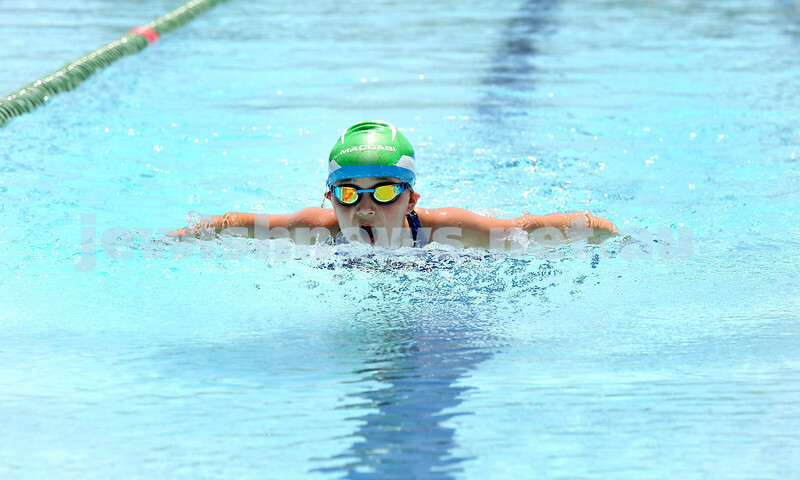 Maccabi Jewish Swimming Championships. 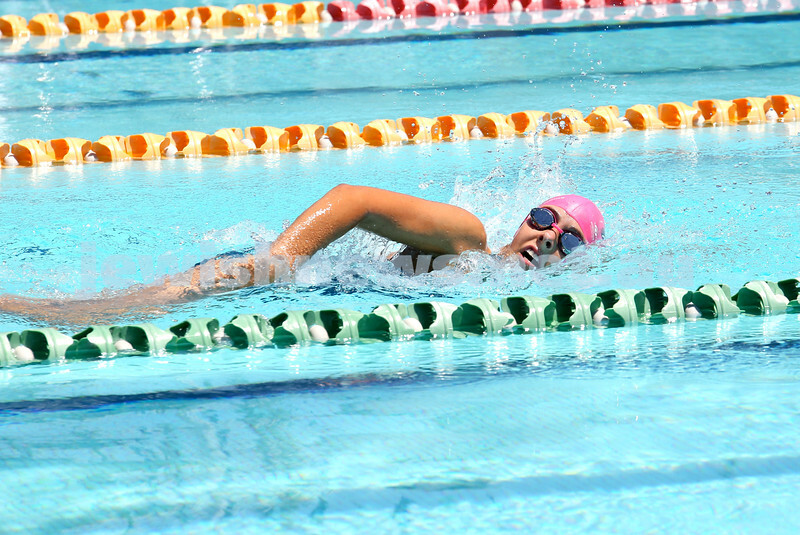 Girls 50m Butterfly. Pic Noel Kessel. 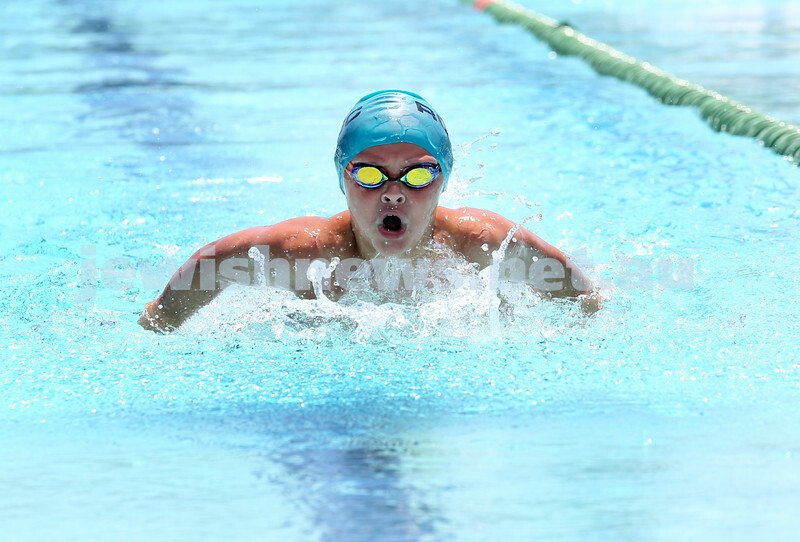 Maccabi Jewish Swimming Championships.Girls 50m Butterfly. Pic Noel Kessel. Maccabi Jewish Swimming Championships. Boys 50m Freestyle. Pic Noel Kessel. Maccabi Jewish Swimming Championships. 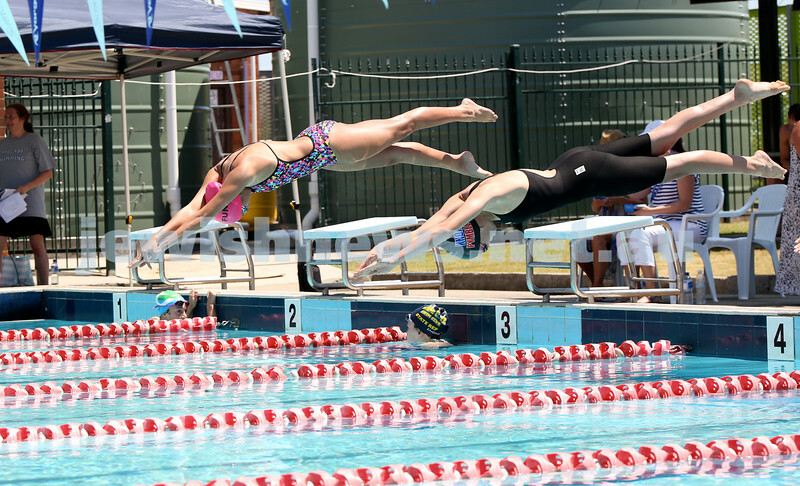 Girls 100m Freestyle. Pic Noel Kessel. Maccabi Jewish Swimming Championships. 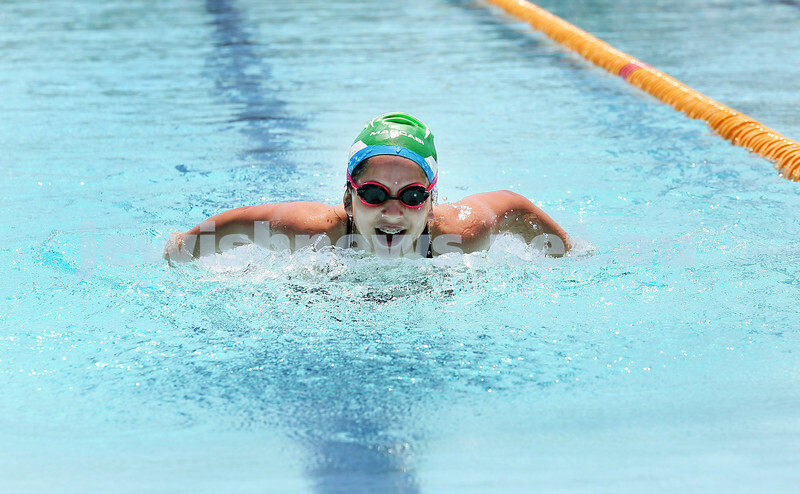 Maya Murphy after winning the AJN cup in the 100m Womens Freestyle. Pic Noel Kessel. Maccabi Jewish Swimming Championships. Pic Noel Kessel. Maccabi Jewish Swimming Championships. 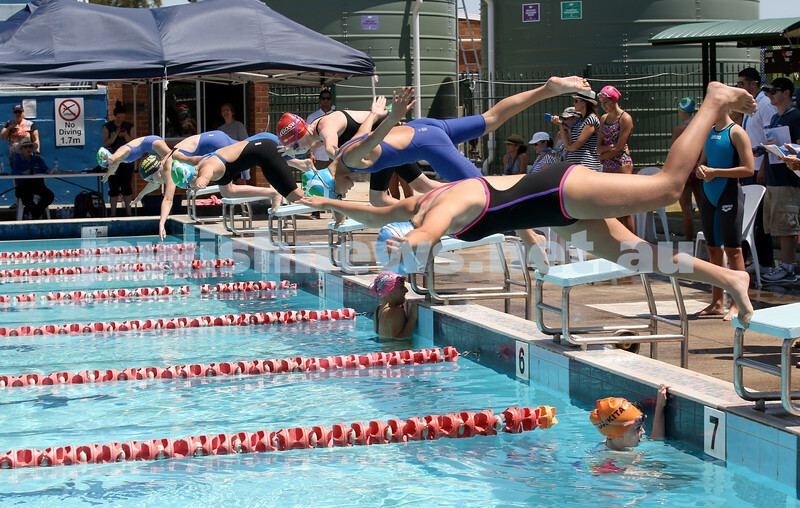 100m open freestyle race. Pic Noel Kessel. Maccabi Jewish Swimming Championships. 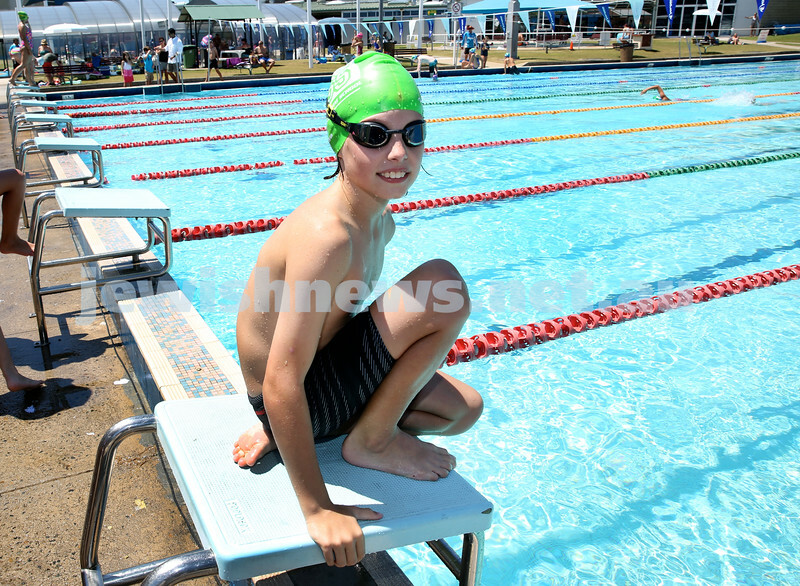 Joshua Blumberg after winning the AJN cup in the 100m Freestyle. Pic Noel Kessel. Maccabi Jewish Swimming Championships. 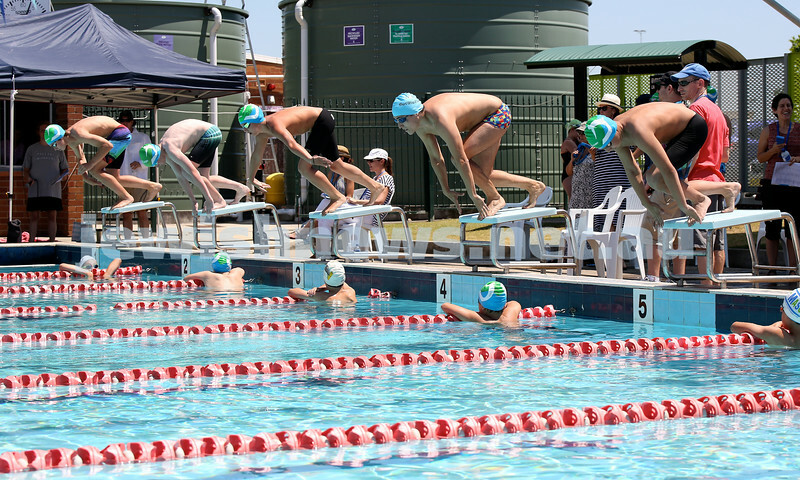 Mens open 100m Frestyle race. Pic Noel Kessel.